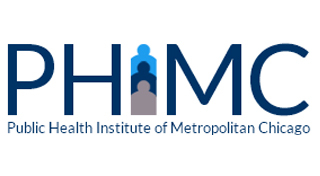 The Public Health Institute of Metropolitan Chicago (PHIMC) enhances the capacity of public health and health care systems in Illinois to promote health equity and expand access to services. Through organizational development, system transformation, fiscal management, and program implementation, PHIMC leads efforts to strengthen public health infrastructure in Illinois. PHIMC’s portfolio includes six programs focused on routine HIV screening, linkage to health education and care, high-impact HIV prevention services, quality assessment of Ryan White Care services, and community reentry from incarceration. One of PHIMC’s programs garnering national attention is the Community Reentry Project (CRP) – a multi-stakeholder program that supports Illinoisans living with and at highest risk for HIV as they transition from incarceration to community. PHIMC leads this project and partners with six agencies that provide a comprehensive network of supportive social and medical services at the community level. PHIMC responds to critical health challenges by improving public health capacity and enhancing healthcare systems. Get in touch with the Public Health Institute of Metropolitan Chicago. This presentation from Karen Reitan, AM, of the Public Health Institute of Metropolitan Chicago and Fikirte Wagaw, MPH, of Public Health Consulting, LLC frames the justice system as a key area of public health transformation and explores how to adopt practices in prisons to promote good community health.